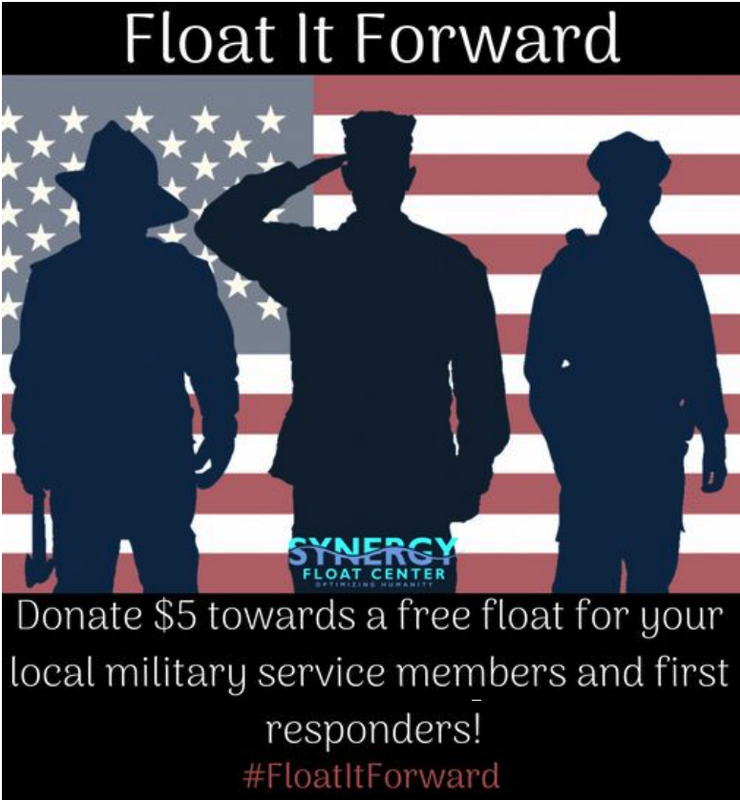 Synergy Float Center is proud to offer a pay-it-forward program for our active, veteran military service, and first responders whose selfless commitment and service guard our community and help ensure our quality of life. The program is designed to relieve some of the stress and pain these guardians experience during their sacrifice by providing them with free floats. Active military, veterans, and first responders are among those who benefit the most from the unique combination of benefits that floating and sensory deprivation offer. In combination with other traditional therapies, it can be an incredible tool for unwinding the effects of PTSD and its many co-factors, such as depression and anxiety. Additionally, the large transdermal (via skin) exposure of magnesium-rich Epsom salts is one of the most effective ways of physically de-stressing the body. Many find the solitude of the float tank environment to be a refreshingly different and comfortable space for processing their personal thoughts. Our Float-it-Forward program provides other floaters an opportunity to help make the world a nicer place, one float at a time, by giving back and donating into a community float fund. All Synergy clients can voluntarily donate any amount ($5 minimum) into the fund, and/or donate any unused services. Synergy Members can opt to have any credited floats donated into the Float-it-Forward program, or can opt, to add an additional $5 a month to their monthly membership fee that will go into the fund. For every $50, donated, Synergy will provide a free float to those in our Float-it-Forward Program. That is discounted over 47% off of our regularly priced floats. Active military, veterans, and first responders can sign up for the program and will need to provide proof of their service to Synergy Staff members and will be notified by Synergy when their floats are available. Float-it-Forward free floats will be assigned to participants in order of precedence from when they signed up. However, we’ll give preference to someone who has not had the opportunity to experience floating before over someone who has already floated. In the event that all subscribed fund recipients have floated before, we’ll simply go down the list sequentially based on subscription date. No personal identification between giver and receiver will ever occur; this a totally anonymous pay-it-forward model. Synergy Float Center staff assumes the responsibility to ensure all recipients are entitled to receive the free floats. However, those who donate will be able to see a general overview of everyone participating in the program and a summary of their service. To either donate or receive from the Float-it-Forward Program, please send us an email at synergyfloatitforward@gmail.com explaining what you would like, and we’ll take it from there. If you’re requesting floats from the fund, please just include a very quick summary of your military and/or first responder service. Nothing too detailed, just the basics. Pathways for Veterans is dedicated to healing the spiritual war wounds of the men and women of our military. Their mission is to create a safe environment where all veterans can experience being heard and are given the tools to re-purpose themselves in mind, body and spirit. 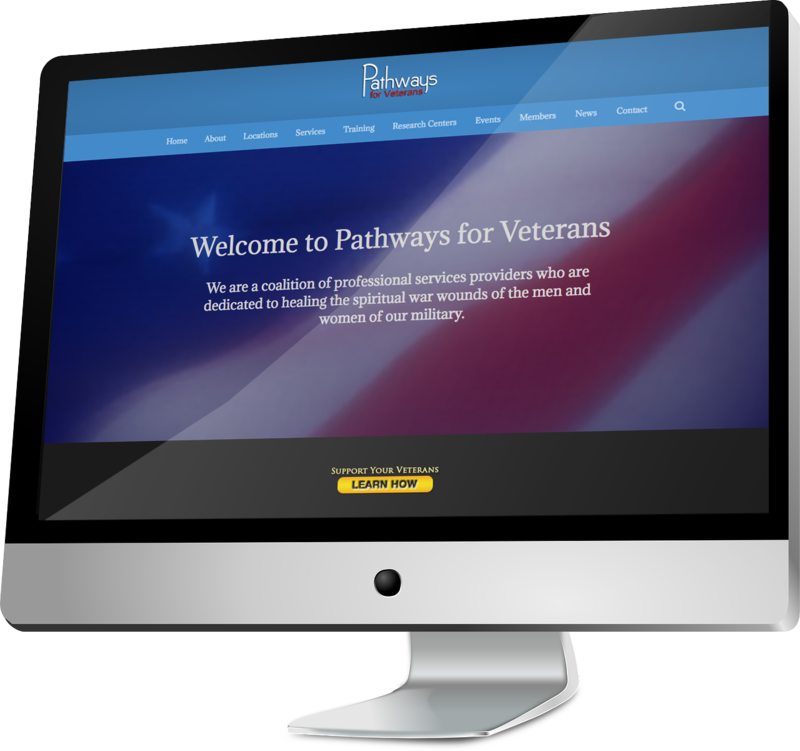 Pathways for Veterans is a 501(c)(3) non profit organization that serves veterans. The knowledge that you made a difference in the life of a veteran TODAY. Recognition as a Vet-Friendly Business Owner. A cling-on decal is provided for your window and is sent by PDF to put in your marketing material. Make a donation to help sponsor a veteran. Donations made go to offset the costs of services provided to veterans.